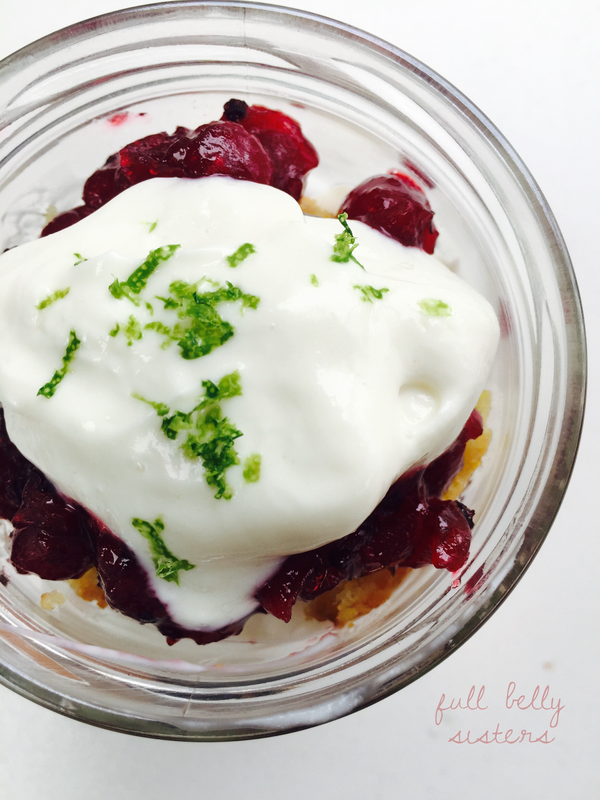 You can make this easy and delicious Greek Yogurt Cornbread Cranberry Trifle from scratch for a special holiday dessert. 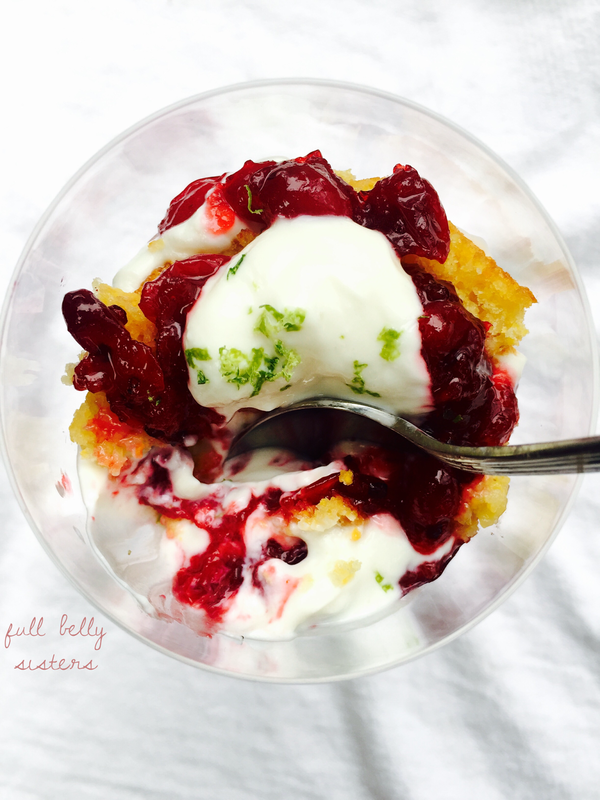 Or you can make this an easy no-bake treat by using leftover cornbread and cranberry sauce. Whatever you do, just make it! 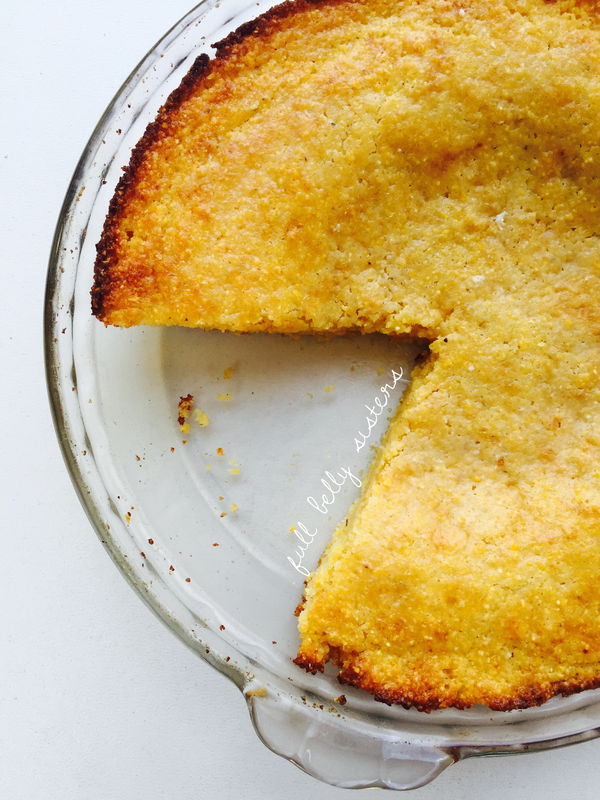 When Chobani encouraged food bloggers to contribute recipes to a virtual #madewithchobani Thanksgiving Feast, my first thought was to make my family's favorite Greek yogurt cornbread; it's a simple, high-protein, super yummy version. 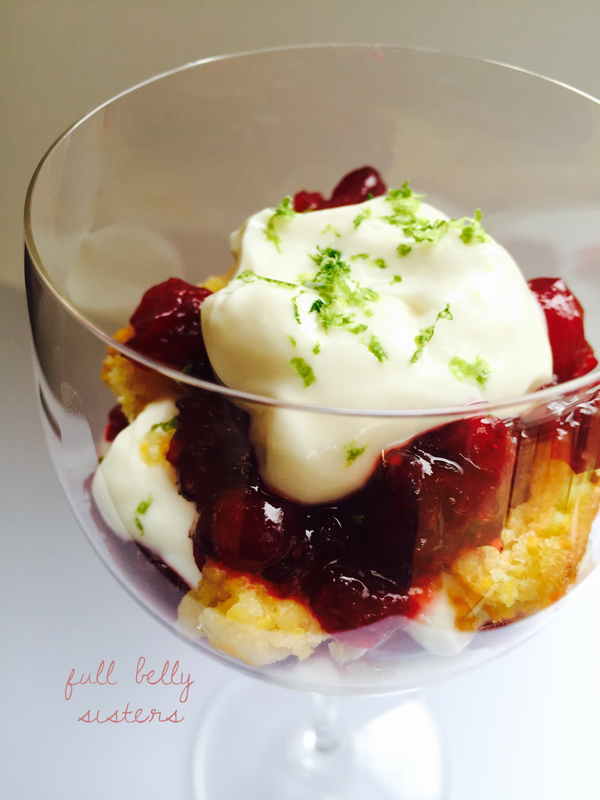 But then I decided to kick it up a notch and make that cornbread into a fabulous dessert for the holiday: Greek Yogurt Cornbread Cranberry Trifle. It combines some of the classic flavors and ingredients of Thanksgiving and makes them into a truly special treat. You can certainly use your favorite cornbread recipe, but my Greek Yogurt Cornbread is delicious and packed with goodness. The yogurt makes it super moist and adds a great protein boost; almond flour also means more protein and fewer carbs than the average cornbread recipe. Preheat oven to 400 degrees. Lightly grease a pie plate or 8" square baking dish. In a large bowl, combine flours, cornmeal, sugar, baking powder, baking soda, and salt. In a small bowl, lightly whisk the egg, Greek yogurt, milk, and butter. Gently fold the wet mixture into the dry mixture until just moistened. Pour into your prepared pie plate. Bake until a toothpick inserted in the center comes out clean, about 20 to 25 minutes. Now that you've got your cornbread ready, let's make this amazing trifle! Place about 1/3 of the cornbread into the bottoms of the serving glasses. Top with a third of the cranberry and a third of the vanilla yogurt, then a pinch of lime zest. Repeat each of the layers twice more, ending with yogurt and the lime zest. Now, how easy is that? Easy and so pretty! 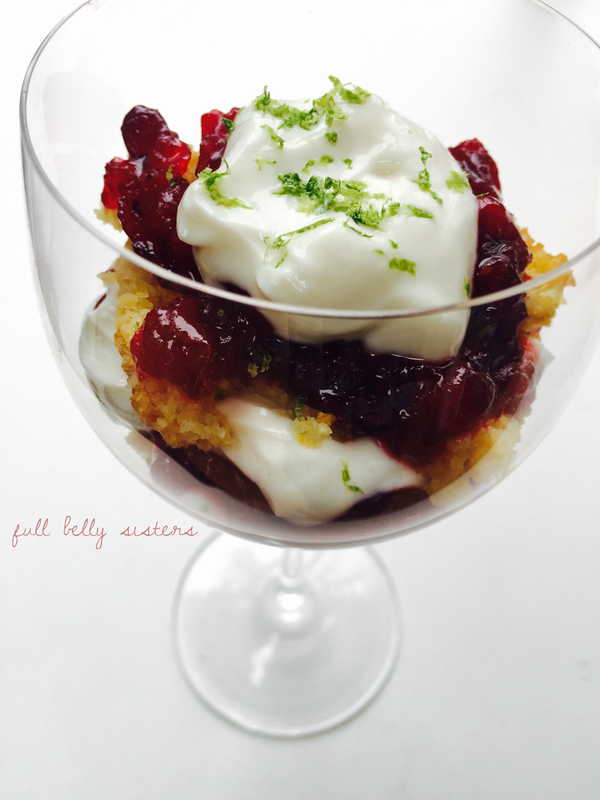 Served in a large trifle bowl or in martini or wineglasses, this Greek Yogurt Cornbread Cranberry Trifle is an elegant dessert. Served in a water glass or jar, this becomes a rustic, fun treat! And while it's certainly a perfectly sweet indulgence for dessert, it's also nourishing enough for a wholesome breakfast. However you serve this, I hope you enjoy it as much as we did. For more recipe ideas using leftovers form your holiday meal, check out our 22 Healthy Ways to Use Thanksgiving Leftovers. Happy Thanksgiving, friends! We're so thankful you're here with us. 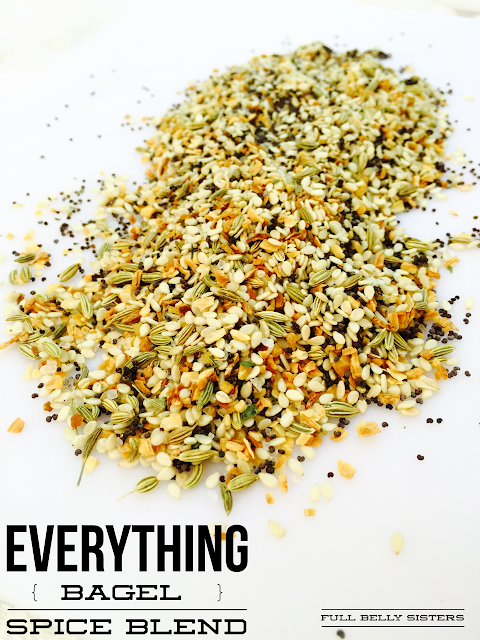 A fun Thanksgiving idea pulling together two traditional holiday ingredients. Great pics too. Yum! And so pretty too! What a great holiday dessert...this is definitely something I would like! What a totally awesome idea! Very creative and delicious! This is a beautiful and very creative idea. This sounds delicious.. very creative. Yoghurt and cornbread. Oh gosh yes please. Looks like it would taste sooooooo good. This sounds like my kind of dessert! I would totally eat this for breakfast too! I like that it isn't too sweet! This is my dream food! 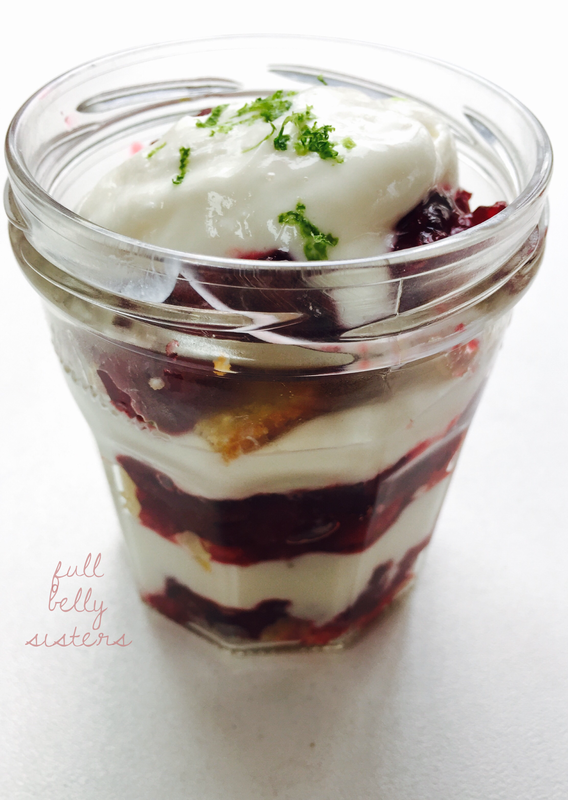 I love the creamy greek yogurt, the cornbread, the cranberry. Wow! All together just boggles my mind. I want to make this soon! Agreed! It's a shame because they are so gorgeous and delicious. 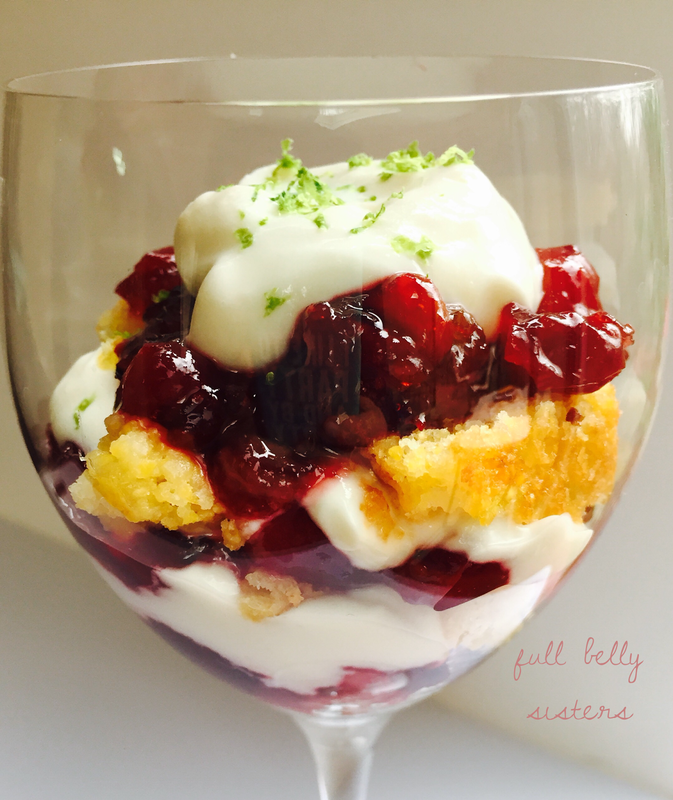 This cornbread cranberry trifle looks so delicious! Colorful and attractive dessert!! I am loving the sound of this!!! That cornbread sounds great along with the yogurt. Comforting treat for sure! Perfect trifle! Love all of thee flavors -- so tasty! You have got my attention with this amazing and creative recipe! Marvelous!